Initially, wax pens were seen only as cheap alternatives to dab rigs and were oftentimes made from repurposed vape pens. Most of these wax pen vaporizers were built using sub-standard materials and used parts of poor quality such as subpar wicks, crummy batteries, and glues which held the pieces together. Well, whoever made them paid little to no attention to the effects these components would have after reacting chemically to heat. Furthermore, most of the dab pens sold on the market were rebranded vaporizers from cheap manufacturers so the overall quality of dab pens the industry then had to offer pretty much was on the same level. Dr. Dabber was one of the first vape manufacturers who took dab pens to a whole new level. Dr. D wanted to revolutionize portable wax concentrate consumption and began by conceptualizing what a dab pen should really be. Dr. Dabber strongly believed that wax pen vaporizers should be more than just an alternative and instead should be seen as a legitimate option for those who like to consume extracts. A reasonable substitute for stationary methods of concentrate consumption and not just an auxiliary tool for people who wanted a smaller and more portable unit. They wanted to change how people see dab pens and began using only the best raw materials the industry had to offer. By using specifically selected components, Dr. Dabber was able to produce durable devices that yield clean clouds of vapor, making them one of the safest options for consuming extracts and other concentrates. Dr. D also explored low-heat titanium heating elements which resulted to more flavorful outputs without having to compromise purity as low and slow heating extracted active ingredients out of concentrates and allowed vaporization without reaching the point of combustion. The folks at Dr. Dabber improved upon the tried and true means of vaporizing extracts and gave it their own twist. Their purpose-designed dab pens allow consumers to enjoy the benefits of their select materials while keeping it discreet and low key. Today, Dr. Dabber is globally recognized for its commitment to developing and enhancing the concentrate consumption platform as well as their unparalleled dedication to innovation. Dr. D’s dab pens are the perfect representations of what wax pen vaporizers have achieved and how they continue to grow as tools to deliver cannabis-based medication for patients and for recreational consumers alike. Dr. Dabber improved upon the traditional means of heating concentrates and gave it a major facelift. They used the conventional coil and wick system which used porous and absorbent materials wrapped around the average heating coil and replaced the components with better materials. Keeping to their commitment of delivering high-quality dab pens, the folks at Dr. Dabber experimented and developed specifically designed and engineered glass fiber wicks and used similarly sophisticated titanium coils. This gave them a heating element that enhanced and improved the flavor as well as the potency of waxy oil extracts. You can say that they understood the principle behind the classic coil and wick method and modernized it by applying the proper technology to use this system at its optimum level. Dr. D’s hallmark heating element facilitates a slow burn which avoids sudden changes in the overall temperature inside the chamber. Not only does this eliminate combustion but it also prevents the active compounds in the concentrates from being destroyed thus allowing you to savor all the benefits your materials can offer. Dr. Dabber’s low heat technology is probably what placed them on the map, daily consumers and connoisseurs find that low-temp dabs tend to be smoother and easier on both the mouth and the lungs. Vaping on lower temperatures also extract the terpenes out of your concentrates. Terpenes are what gives your materials its aroma as cannabinoids are what gives it its therapeutic and psychoactive properties. By vaping in lower temperatures, you get to experience the full spectrum of concentrates making for a more pleasurable and enjoyable experience. Apart from its low heat technology, Dr. Dabber also utilized magnetic connections on one of their most iconic dab pens. They eschewed threaded connections that made assembly as well as reloading dab pens a tedious task. By using magnetic links, Dr. Dabber allowed on-the-go users to make removal and replacement of Dr. Dabber parts and components easier and faster. This emphasizes the purpose of their wax pens as they’re meant to be used to take quick hits allowing consumers to get high in a fly. They also reinvented dabbing with e-nails as well as with e-rigs and introduced a variety of wax vaporizers designed for heavy users, longer vaping rituals and even more demanding group sessions. We’ve also seen the first induction vaporizer which we’ll be talking about in a few. Overall, Dr. Dabber established itself as a pioneer in innovating vape technology and delivering its promise of providing us with reliable dab devices that are designed for the growing and emerging concentrate consumption platform. A modern classic, Dr. D sets itself apart from the competition as a dependable name whose products one can count on for years to come. This makes Dr. Dabber vape pens for sale an easy choice when you’re looking to add the next gem to your arsenal and even if you’re out looking to get your first dab pen. Dr. Dabber vaporizers are tailored to provide users the ultimate concentrate experience. Each vaporizer is designed to unlock the full potential of your material with an emphasis on efficiency and efficacy. Their vaporizers are recipients of numerous awards and recognitions and are featured in different media platforms like MAXIM, Touch of Modern, VICE, Men’s Health, BuzzFeed, HIGHSNOBIETY, Forbes, Complex, The Chive, and MarketWatch. With a line of award-winning vaporizers, Dr. D’s got the perfect dabber for every occasion. The Dr. Dabber Aurora is a variable voltage dab pen that boasts an all-magnetic connection providing users with seamless and effortless sessions wherever they may be. Dr. D likes to call it Snaptech, strong couplings that connect the vaporizer components without the use of threaded connections. While standard threads tend to wear down over time, the magnetic connections on the Dr. Dabber Aurora preserves the longevity and increases the overall lifespan of the unit. It’s the answer to the common complaint of dab pen users since the actual removal and replacement of the threaded mouthpiece alone may prove to be a tedious task especially when you’re vaping on your feet. Moreover, threaded connections that are near the chamber and are close to the heating element oftentimes accumulate resin or material and can either cause the threading to stick and can even cause contamination should the leftover material find its way into the chamber. The magnetic connections from the Dr. Dabber Aurora prevents such issues and allows simple and straightforward operation while still maintaining a snug fit and a strong hold. The Aurora from Dr. D is also outfitted with three preset temperature settings that are calibrated for concentrate consumption. Since different concentrates react to different temperature levels, the three preset temperature profiles make for added customization. The lowest heat profiles are perfect for mild to moderate euphoria and are ideal for prolonged recreational sessions. It’s also good for a relaxed, laid-back, and clear-headed high. On the other hand, the highest temperature setting increases and intensifies the potency of your concentrates. Switching between temperature levels can easily be achieved by pressing the power button thrice. One can use and operate the Dr. Dabber Aurora with ease and will require little to no learning curve making it a user-friendly dab pen recommended for both beginners and advanced users alike. The three temperature settings are complemented by the three advanced atomizers that are designed to provide the ideal environment for your material to enhance the flavor and improve the overall vapor quality. The Kit includes the following atomizers. Each atomizer is housed in a quartz dish which acts as an oven to allow even heating of materials. The dual ceramic rod is intended for waxy concentrates since ceramic is an inert mineral it does not conduct heat as fast as quartz and titanium. It's the best option should you want to go low and slow as the ceramic rods also steadily absorbs the concentrates as it heats up. Ceramic is also porous in nature and the microscopic crevices found on the rods allow the materials to permeate the rods as it vaporizes thus increasing flavor and potency while keeping the clouds cool and smooth. The quartz rods heat faster than the ceramic rods and are ideal for low viscosity extracts as it quickly ramps up providing you with more visible clouds that have decent flavor retention. Finally, the ceramic halo provides similar results as the ceramic rods while increasing the efficiency of the Dr. Dabber Aurora – the material you put in is vaporized to the very last drop. No rods leave no room for your materials to build up and there’s virtually no need to fire your coils after every session. The Aurora is also one of Dr. Dabbers most decorated vaporizer, here’s a list of recognitions the Aurora took home from the prestigious High Times Magazine Awards. The Dr. Dabber Light lives up to its name and is currently one of Dr. Dabber's smallest and lightest dab pen. It takes features of another Dr. Dabber vaporizer – the Dr. Dabber Ghost – and brings the same benefits in a smaller and a more compact body. The Light is surprisingly smaller than the average pen making it a stealthier option for those who like to keep a low profile. Its matte black finish gives it a subtle vibe and an inconspicuous aura. The overall design of the Dr. Dabber Light also adds to its discreet allure and lets consumers vape covertly without compromising quality. The Dr. Dabber Light Vaporizer is also one of Dr. D’s most simple and straightforward dab pens both in assembly and in operation. Like most wax pens, the Dr. Dabber Light is made up of three basic parts; the battery, the atomizer, and the mouthpiece. Almost all components link together through 510-threaded connections with the exception of the atomizer parts. The components of the atomizer are held together by silicone O-rings which makes it easy for on-the-go users to either load the Dr. Dabber Light with their select concentrates or simply when they’d be checking the amount of material they have in the chamber. The atomizer parts can easily be pulled apart should you need to replace the coils which allows for easy cleaning and maintenance. Having 510-threaded connections works in Dr. Dabber Light’s favor which gives it a secure and sturdy hold and improves its overall strength after all the pieces are assembled and are firmly connected. Because of its small size and lighter weight, the Dr. Dabber Light makes good use of the threaded fittings and allows a snugger fit to hold its parts which ensures that nothing gets disconnected when you stash the Dr. Dabber Light for upkeep. This means that wherever you decide to put the Dr. Dabber Light, be it in your bag or in your pocket, it’ll maintain its form and its pieces won’t easily break or disengage from one another. The Dr. Dabber Light is extremely travel-friendly and can easily withstand daily use and carrying activity. The Light from Dr. Dabber also features a single temperature setting that’s calibrated by their in-house developers and engineers. The Dr. Dabber Light is similarly optimized for concentrate vaporization like other Dr. Dabber products. It can be powered on by tapping the power button five times and can also be turned off by performing the same action while it’s on. You simply press and hold the power button to fire the pen and while it features a single temperature setting, you can achieve different results by playing around with it and holding it in short pulses instead of holding it and consuming a single load in one draw. The power button has a very tactile feel and gives that satisfying click every time you press it. The Dr. Dabber Light comes with all the essentials including a loading tool, an additional mouthpiece and atomizer, and a shatter-proof storage ball. Overall, though the Dr. Dabber Light may appear very rudimentary it does not allow its basic design get in the way of its performance. The atomizers produce flavorful clouds of vapors and are perfect for taking quick hits on the fly. The Ghost is one of Dr. Dabber’s award-winning pen, taking home some of the best recognitions in some of the most cut-throat categories in the 2016 High Times Magazine Awards. The Dr. Dabber Ghost won the following honors from the judges for the vape pen reviews. The Ghost adds to Dr. D’s award-winning lineup of dab pens which is why it comes to no surprise at all that they mimicked the Ghost and made a smaller, more compact version of it in the Dr. Dabber Light. The Ghost dab pen from Dr. D also boasts the same low-heat titanium coils which allows it to yield big and tasty hits that’s as close as any vaporizer can get to the performance of the Aurora – another award-winning wax pen from the Doctor. The key to its premium vapor production is in its recessed coils. The receded coils facilitate a unique milieu for concentrates of any variety allowing the liquefied extracts to be heated evenly, something that would otherwise result to material buildups in cheaper dab pens. The recessed coils also prevent leakage and spilling of concentrates once they’re melted. By placing the coils closer to the base of the atomizer, the heating element can now vaporize your materials to the last bit. This eliminates resin buildups that would in any other way be difficult to remove or clean. Furthermore, the Dr. Dabber Ghost uses premium glass fiber wicks and swapped nichrome for titanium to improve the overall heating performance of the Ghost. This means that the components used in the Ghost’s atomizer is designed to eliminate the proliferation of irritants that cause itchiness of the throat. You’re sure to enjoy smooth and milky clouds of vapor when you vape with Dr. Dabber’s Ghost. The Dr. Dabber ghost also sports a powerful battery that can yield an average of about 300 to 350 puffs on a single charge. Depending on the frequency of how you’re planning to use the Ghost, it could last at the very least a full day for heavy users or a day or two for those who like their sessions few and far between. The battery may take a couple of hours to charge but the overall lifespan completely justifies the time it takes to charge the battery. The Dr. Dabber ghost is also compatible with a glass globe attachment allowing you to see your Dr. Dabber Ghost at work as it vaporizes your materials. You can also use a special bubbler designed to be used with the Ghost which lets you enjoy moisture conditioned hits and adds the element of water filtration to make your sessions cooler and smoother. The battery is 510 threaded allowing you to use a variety of compatible attachments apart from the glass globe and percolator accessories. A unique add-on is the recycler, a more intricate percolator that further enhances the flavor as well as keeping the vapors easy on your mouth and on your throat. The Dr. Dabber Ghost makes for a great addition to your vape arsenal and may prove to be the only dab pen you’ll ever need. 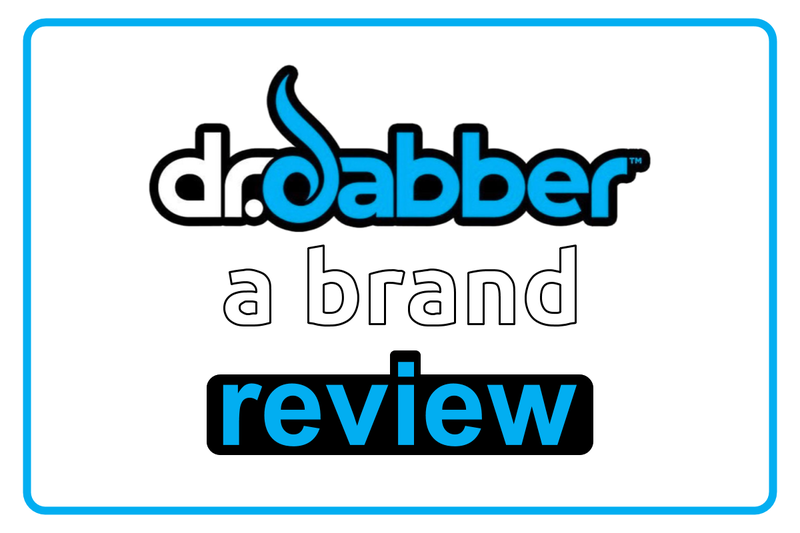 In their mission to provide concentrate consumers with the best vaporizers, the folks at Dr. Dabber created the Boost; a device designed to match and even surpass the performance of a dab rig while offering the convenience of a portable vaporizer. The Boost is equipped with a powerful battery that can and will vaporize your concentrates in as fast as 30 seconds. The robust rechargeable power source yields an average of 30 to 40 uses in a single charge which promises longer vaping sessions and vapor output you won’t find on other battery powered units. The Dr. Dabber Boost provides users with a safe means of vaporizing their favorite concentrates without the use of a traditional torch which could be a hazard for both the inexperienced and the adept. Using a blow torch has its benefits, it can heat up your nails quickly and allows for higher temperature levels which lets you unlock and experience the full potential of your extracts. However, blow torches use butane that can oftentimes pose risks to consumers especially when used without proper caution and care. To make such a feat possible in an electric-powered unit, the Doctor used high-performance nails to aid in conducting heat and promoting the proper setting for your extracts to mimic or even better the kind of performance one would get from a dab rig. The Dr. Dabber Boost features a full-kit that includes a quartz crystal nail that can be used to heat extracts at a lower temperature. Quartz can be a better catalyst for concentrate vaporization since it heats up faster and will ensure that the materials you put in are heated properly even at softer heat levels. The quartz nails can still produce big and visible clouds of vapor even when you dial the Dr. Dabber Boost at its lowest heat profile. You’d also find a ceramic nail that’s perfect for prolonged vaping sessions because of its inert properties. The ceramic nails remain cool and pure keeping the overall temperature to the ideal level making sure that no material is burned even when subjected to high heat. It makes for an efficient attachment when you and your friends plan to have a group session during parties or similar occasions. Ceramic is always attributed to flavorful clouds vapor and the Dr. Dabber Boost generates tasty clouds that can satisfy even the most fastidious connoisseur. For those who are looking for the perfect blend of vapor and flavor, a titanium nail makes for the ideal attachment for those lung-ripping and lip-smacking hits. A premium Dr. Dabber Boost – Black Edition is also available that features bigger and better nails. It also comes with a discreet storage box that lets you carry the Boost around without raising the alarm. The Boost – Black Edition carrying case sports cut-outs that can house all the essential components of your Dr. Dabber Boost which includes all the three nails, a slot for your water filtration attachment and for other indispensables you need to take with you during sessions. The Dr. Dabber Boost combines power and portability in one epic e-rig. Dr. Dabber proves itself to be the leader in innovation as they introduce the world’s first induction powered e-rig. The Dr. Dabber Switch is not only their latest offering, but it’s also their best vaporizer to date. It would be hard to top the Switch with all its features that are set to redefine vaping altogether. The Switch can pretty much be likened to the Boost as it works as a dab rig would but harnesses the power or a rechargeable power source to provide a torch-less means of vaporizing your materials. The Dr. Dabber Switch boasts unparalleled versatility with its 25 heat settings as well as its capability to vaporize both extracts and dry herbs. You can now go from intense and potent rips to soothing and mild pulls in quickly since it heats up your favorite loose-leaf and extract blends in as fast as 4 seconds. One may find 25 heat profiles to be a bit overwhelming, but the Dr. Dabber Switch operates as easy as any other Dr. Dabber product. The Switch lets you personalize your sessions without the troubles of working with an over the top, complicated desktop vaporizer. The Switch uses intuitively designed LED lights that tells you the status of your Switch as you vape. It’s outfitted with an intelligent battery that protects the Dr. Dabber Switch from circuit damage. Likewise, the Switch itself is equipped with smart technology that allows it to identify the running temperature and cool itself down after every cycle to protect itself from overheating. The Switch is also capable of cleaning itself by burning off resin buildups that remain of the induction cups through a specialized cleaning mode. The Dr. Dabber Switch is a next-generation vape that’s leaps and bounds better than any vaporizer on the market. However, what truly sets the Switch apart from other vaporizers is its heating technology. It utilizes induction heating which creates a non-contact method of heating your materials. Similar to convection heating, induction heating makes for the ideal means of achieving pure vapors, only its better. Since your materials never get in contact with the actual heating element, nothing can affect the quality of your select materials. The Switch from Dr. D takes the purity of your materials seriously and takes pride in preserving its quality in every step of the vaporization process. The induction heating elements are separated from the actual circuitry to prevent any reaction or production of toxic substances when the induction heating element goes to work. Moreover, the induction cups used to hold your materials are made from high-quality ceramic that heats slowly keeping the flavor profiles as well as the aroma of your materials. The Switch serves as both Dr. Dabber’s statement and promise as they continue to change the game, break barriers and transcend boundaries in the vaping industry. The future looks bright for both Dr. D and the vaping community in general as they continue to revolutionize the way we consume herbs and concentrates. Dr. Dabber not only specializes in manufacturing vaporizer units but also in producing supplemental accessories to aid your vaping sessions. Dr. D has a wide collection of vape accessories from carrying cases, glass attachments made from lab-grade borosilicate glass, chargers, mouthpieces, concentrate storage balls, to everyday apparel like keychains, shirts, hoodies, tank tops, as well as snapback caps and beanies. They even released a limited-edition cruiser skateboard and a limited-edition drawstring bag. The Budder Cutter is a self-heating cutting tool that’s used to manage and break down dense concentrates and hardened waxes. Dr. Dabber Budder Cutter is outfitted with a long-lasting battery which heat ups the cutting tips to allow easy cutting and loading of your wax concentrates. Not only does it cut through any type of concentrate like heated knife through butter, but it’s also the perfect loading tool for dab pen users since it pretty much prepares the extracts as you load them into the chamber. This lets you save battery as your concentrated materials are already halfway melted as they’re loaded into the heating element. The Budder Cutter features 7 different cutting and heating tips making the Budder Cutter a multi-functional tool. The Honeymat, on the other hand, makes for an ideal tool where you can organize and prepare your materials when vaping. The Dr. Dabber Honeymat is the best platform to slice and dice those hardened concentrates using the Budder Cutter, these mats are made of platinum-grade silicone making them nearly indestructible and non-reactive to heat. Dr. D’s Honeymats are also great for displaying your favorite Dr. Dabber dab pen during upkeep and will give your wax pen and desktop vape added stability so they won’t slide and fall off. They’re easy to clean and feature non-stick technology for the true seamless vaping experience. Dr. Dabber as a manufacturer is big in build long-term relationships with their customers, they invest their time and their effort to provide their customers with world-class aftersales support and reaching out to them for any kind of assistance about their products are always warmly welcomed. Their passion for innovation and helping their customers understand their devices as well as marketing their products as a lifestyle brand, on our book, make Dr. Dabber the best wax vaporizer manufacturer. 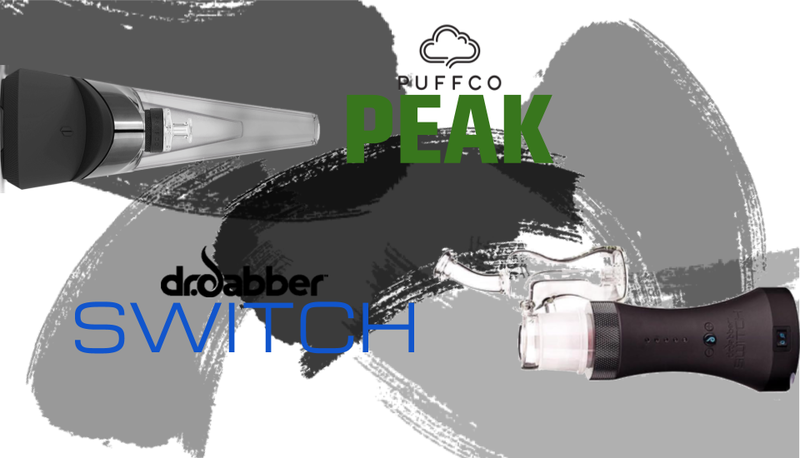 Dr. Dabber Switch vs Puffco Peak - Which Is The Better Vaporizer? Technology has taken mankind a long way. From the early discovery and means of controlling fire to the invention of handheld igniters and portable lighters, technology has made a significant impact even to marijuana consumers. From the actual application of fire in smoking and consumption of the cannabis plant to the modern-day battery-operated vaporizers that can vaporize any type of material with just a push of a button. These technological innovations paved the way for cutting-edge gadgetry that would all the more improve the overall quality of one’s vaping experience in general. Dabbing, or the consumption of cannabis concentrates is probably one of the major categories in cannabis consumption that benefited from these technological breakthroughs. Dabbing, in its early stage, was considered to be more of a daunting feat. One would have to use haphazard tools like a butane-based torch lighter to burn off the nails, letting it cool a bit, and then applying the wax concentrate onto the ceramic cups. I’m going to admit it and please don’t get me wrong, using traditional dab rigs has an aesthetic feel to it. More of like when a blacksmith is working on a masterpiece, though the high you’d get in using conventional dab rigs when consuming wax concentrates is pretty much a labor of love. The upshots are extremely satisfying. However, the process of getting there could be really challenging. I’m not against traditional dab rigs at all, we wouldn’t know what to use as a basis for all these high-tech innovations at all if it weren’t for dab rigs. While they’re all good for advanced users and season veterans who for years have been using and consuming wax concentrate, beginners and dabbing novices may find this task arduous and precarious. An inexperienced user that’s halfway stoned using subpar torches and dab rig components is definitely a recipe for disaster. I wouldn’t call this a misconception, it’s just mere misuse of hazardous apparatus and uncautious practice of dabbing. Luckily, we have modern-day technology to help us, these advanced and dynamic inventions have allowed even the ‘noobest’ practitioners to dab concentrates like a skillful expert. Here’s a look at today’s top two smartest vaporizers and the latest technology these e-rigs could offer. One of the most prominent names in the vaping industry especially in wax concentrate consumption, Puffco, has been manufacturing wax vaporizers of the highest quality and thus became the go-to brand for people who look for more than just the average wax concentrate experience. Known for bringing together the “disciplines of design, technology, and engineering” to create the perfect platform for concentrated cannabis consumption, Puffco eschewed the traditional wax vaporizers that used glues and wicks in their products and devices and reinvented the way you consume waxes through devices that do not use synthetic adhesives or use hazardous chemicals that may contaminate the airways of your vaporizers. They’ve been making award-winning devices and their latest smart e-rig surpasses all that Puffco has accomplished. Earlier this year, Puffco announced and revealed their newest product, the Peak. The Peak is somewhat a cross between an e-nail and a dab rig. It exploits and perfectly marries the benefits of both devices and presents it in a portable and wireless device that’s geared towards performance and convenience. Here’s a quick look at its features. Well, at the very least that’s what Puffco says about the Peak and in terms of smart cannabis technology, I can attest to how far the Peak has taken my dabbing sessions as compared to using traditional desktop and even portable dab rigs. For one, having four temperature settings allow you to take total control over your vaping sessions. Compared to using a torch and a nail, knowing how hot or how cold the nail is is pretty much of a guesswork. You’d have to be experienced to tell if your nail is ready, at what point is it best to start loading up your wax concentrates (to get the best results in extracting THC and CBD), and how to tell if you’ve been torching the nails long enough so your wax concentrates won’t go to waste since nails that are extremely hot will cause wax to splatter all over the place leaving you with lost material and we all know that wax isn’t cheap. Apart from having four preset temperature settings, I believe that what sets the Puffco Peak apart from other e-rigs is its smart tech -- ITC or Intelligent Temperature Calibration. The ITC will automatically adjust the heat should your bowl get too hot. Not only does the Puffco Peak makes dabbing easy for you but it also does the job of calculating the current temperature of your bowl and applying the right temperature to give you that ideal hit. It gives you that consistent dabbing experience where all you’ve got to is just press and puff. I found that ITC is best for when you feel like you’re almost hitting the ceiling of your cannabis tolerance and still you’d want to push it further. The ITC allows you to just sit back and kick it without the much needed “presence of mind” since it’ll do all the calculating for you and all you’re left to do is just to savor the moment till you take your high to higher levels and that’s something I haven’t been able to achieve with a conventional dab rig, at least not without someone helping me out. Our second smart rig comes from Dr. Dabber, known for making “premium” wax vaporizers, this Las Vegas-based manufacturer recently released the world’s first induction powered e-rig. The Dr. Dabber Switch is powered by induction heating, a stable, repeatable, precise, and non-contact means of heating your wax concentrates. Compared to traditional heating methods like conduction and convection heating, induction heats up your materials faster. While the Puffco Peak boasts of a 20-second average heat up time, the Dr. Dabber Switch does a far better job in heating your materials in just 4 seconds. Here are some of its other features. Yes, you’ve read that right and no, you’re not mistaken. That’s 25 temperature profiles that are carefully fine-tuned to let you get the most of whatever material you put in the Dr. Dabber Switch. Similar to how the Puffco Peak makes use of high-tech heating innovations to let you personalize your vaping sessions. Whether you like dense and visible clouds of vapor or flavorful wisps of clouds, you’ll find these 25 temperature settings extremely helpful when vaping different kinds of extracts. Dr. Dabber Switch also has its own version of SmartWare that allows it to remember and use your favorite heat profile which lets you go back to your preferred heat setting conveniently. The Switch’s memory feature isn’t exactly as good as Puffco Peak’s ITC in terms of how useful it comes as for how its technology can be applied in certain situations when you’re vaping. Switch’s memory feature is basically something that will remember your last setting and will save you the trouble of browsing through 24 more profiles. Though in my opinion, what it lacked in this category it certainly made up for showcasing so much more. If you’re the tech savvy person who wants a vaporizer that does more than what the average joe can, the Puffco Peak will prove to be a more appealing choice and honestly, I’m taken away by the ITC’s capability to keep you vaping by automatically calibrating the heat settings instead of just giving you a preselected temperature profile. However, if you’re the person who looks for value and would want to get more out your money then the Dr. Dabber Switch will definitely be your best choice. Although deciding which e-rig is the smarter depends entirely on your preference, both these e-rigs are today’s best in terms of quality and technology. Arguably the newest and the most raved desktop vaporizer of the year, The Dr. Dabber Switch may well be the only vaporizer you never knew you needed. The Dr. Dabber Switch spearheads desktop vaping innovation by introducing a new heating element that’s miles ahead from the traditional heating components and heating styles. It also boasts several features that make the Dr. Dabber Switch simply worth having. Join us in this review for an in-depth look at Dr. D’s newest tabletop vape that’s sure to make you Switch. 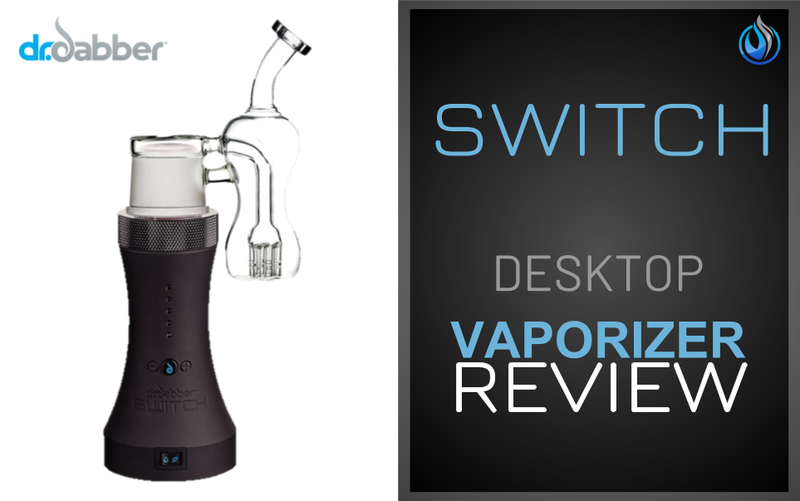 The Dr. Dabber Switch improves upon the common desktop vaporizer in more ways than one. It uses induction heating unlike other tabletop vaporizers that utilize traditional heating methods like convection and conduction. The Switch uses an induction coil coupled with an induction cup to vaporize your materials effectively and efficiently. This works as a non-contact heating method that does not require your materials to have direct exposure to the heating element. You can look at it this way, the closer you place your materials to the heating component, the higher the chances of it reaching the point of combustion. By keeping your materials -- be it flowers, dry herbs, extracts, or oils -- at a distance from the heating element, you can maintain an even and stable heating without burning your favorite blends. While this can be achieved through the use of convection heating (the act of blowing hot air towards your materials to extract and vaporize its active ingredients), most vape users find that convection ovens often take too much time to heat the materials. At an average, a convection desktop vaporizer takes about 50-60 seconds to prepare the materials for vaporization. In comparison, the Switch’s induction heating components heat up in as fast as 4 seconds and at the very least, during our testing phase, took only as long as 12 seconds. In our opinion, the induction heating system single-handedly sets the Switch apart from the competition. It’s currently dubbed as the world’s first and only induction powered e-rig. Not only is Switch’s induction heating faster than any heating method used in the industry, it also makes for a safe means of vaporization since the induction coils are isolated from the internal circuitry of the Dr. Dabber Switch. This means that no electrical component can affect the performance of the Switch nor the quality of your concentrates and botanical plan matter -- giving you vapors at its purest form. Apart from its innovative heating element, here are some of the Switch’s notable features. With all its features, the Dr. Dabber Switch is more than promising. It has specific modes that you can select depending on what type of material you’re using. For those who love to vape on buds and dry herbs, the Dr. Dabber Switch features a leaf mode that has 5 preset temperature settings fine-tuned for loose-leaf consumption. Those who are fans of extracts can use the oil mode that similarly has calibrated temperature profiles for concentrate consumption. Apart from the two modes (leaf and oil), the Dr. Dabber Switch also sports an advanced mode where the temperature level can be adjusted accordingly to fit your needs. We wished that the Switch had a digital display as it could have helped in telling the exact temperature level which could have made tweaking and customization fairly easy. To compete with other desktop units that offer portable means of vapor consumption like that of a balloon bag, Dr. D equipped the Switch with a high-grade rechargeable battery. Dr. Dabber used LiFePO4 battery cells known for their non-explosive and non-volatile properties. This makes the Switch one of the safest devices on the market having been outfitted with the ability to protect itself from “over-voltage, over-current, under-voltage, over-temperature, short-circuit, and reverse-polarity.” The Switch is capable of producing 120 watts of power with about 33.3 watt-hours of battery power. Although the Dr. Dabber Switch might be too large to be classified as a portable unit, the robust and intelligent battery system lets you use it without the electrical tethers, giving you the performance of a desktop unit with the slight convenience a portable device could offer. We loved that the Switch can function as a cordless desktop unit and we sure appreciate that it can be easily passed around making group sessions effortless and enjoyable. The Dr. Dabber Switch comes with a full array of attachments and accessories to set you up for a quick sesh as soon as it’s out of the box. If you’re interested to know what’s inside the Switch’s box, here’s a quick look at what we got. The Dr. Dabber Switch can come with an optional quartz crystal induction cup that can be used in conjunction with the Switch’s crystal mode. This is said to greatly improve the flavor of your oils while preserving the potency and the intensity of the vapors. There’s so much to love about the Dr. Dabber Switch that the only thing we felt it lacked is a digital display. Nevertheless, the Dr. Dabber Switch can easily make anyone a believer. The Dr. Dabber Switch belongs to the top-tier level and tends to be a little more expensive than your average desktop vaporizer. Although it could require a little saving up for, it’s definitely worth buying. This will turn any daily consumer into a legitimate connoisseur, it beats any tabletop vaporizers for sale online and can compete with almost any device in speed and overall vapor quality. Dr. Dabber’s Switch was solely developed and engineered in the United States so you can be sure of its quality, if you’re looking for a tabletop unit that’ll give you the definitive vaping experience, then the Switch is the perfect desktop vaporizer for you. Check out our handy Desktop Vaporizer Buying Guide to help make a decision on which one is right for you. The vaping industry is now one of the highest profit generating businesses today. This is not a surprise anymore because many people are becoming health conscious and are eager to quit smoking due to its ill-effects on the body. It's no wonder why many vape manufacturers and resellers are entering the market because of the promise income vape products can provide in a short period of time. Moreover, many people realize that they have a better alternative to smoking and vape pens, portable vaporizers, and desktop vaporizers are cleaner and more organized way of still enjoying their favorite pastime. With different brands of vaping devices today, there's one name that first-time and professional vapers don't fail to notice, the Dr. Dabber. What makes Dr. Dabber different from the rest? Why do vapers seem to gain high interest in this brand? Let's find out more! Dr. Dabber wanted to create vaping devices that are reliable and convenient. The company always aim to introduce stylish vaporizers that can be used anywhere, yet stealthy enough to maintain a low profile. Dr. Dabber offers effective, potent, and excellent-performing vapes, changing the way vapers enjoy their favorite material, either wax concentrates essential oils or e-liquids. The vape product line of Dr. Dabber is a result of the company's relentless research and development, with a passionate desire to perfect every process. In fact, the Dr. Dabber Boost and Dr. Dabber Aurora are award-winning in their own right. In addition, Dr. Dabber Switch is considered as this generation's best vaporizer, using a patent-pending induction heating technology for reliably fast and incredibly precise temperature profiles, with impressive battery life and excellent overall quality vapers can rely on for many years to come. Dr. Dabber is a premium brand yet the product line of this vape company caters to any walks of life, afforded by vapers who are on a tight budget and most-sought by those in the upper class because of the best qualities and features of their vape pens, portable vaporizers, and desktop vaporizers. Only high-quality raw materials are being used when manufacturing, to come up with the best end products for consumers to enjoy. Dr. Dabber is genuine, committed, and passionate on their craft to provide one of the best product lines to the masses with a touch of uniqueness, sophistication, and personalized manner. In the 2016 High Times vaporizer pen review released, Dr. Dabber Aurora became the most favored among the more than 60 vaporizers. The judges were impressed on the sleek matte-black finish, unique magnetic parts, and the multiple atomizers of Dr. Dabber Aurora vape pen. The dural ceramic rods and heater can handle different types of concentrates, showcasing its unparalleled versatility. The judges hailed the coil and various temperature settings, and they described Dr. Dabber Aurora as follows: “cool magnetic features”, “big hits”, and “crazy good vape pen”. Dr. Dabber Aurora was awarded the Best Kit/Packaging, Best Innovation, Best Durability, Best Taste, Best Stealth, and the Winner of the HIGH TIMES Cannabis Cup. Dr. Dabber Light is another award-winning vape pen. It is a small and compact vape pen that comes with a big performance. In fact, judges call Dr. Dabber Lights as “Stealthy Little Number”. It has the perfect size so vapers can easily fit the device in their pocket or taken on a trip or concerts. The judges were wowed of its “ease of use” and “big hits”. That's why it's no wonder that Dr. Dabber Light won Hight Time's Best Value and Best Portability. On the other hand, the Titanium Technology and low-heat coils of Dr. Dabber Ghost greatly impressed the judges, heating concentrates gradually and slowly for a tasty and big hit. Dr. Dabber Ghost is a sister vape pen of Aurora with a nice pull, portable size, sturdy, and solid feel. High Times described Dr. Dabber Ghost as a ”great product with good value”. Dr. Dabber does not just market and sell vapes. The company considers their customers like family. You can always rely on Dr. Dabber, providing the latest innovative technology with an unmatched level of aftersales customer and technical support. Dr. Dabber makes their customers comfortable when reaching them because vapers from all walks of life use Dr. Dabber brand products. Dr. Dabber always works hard to create and maintain helpful support materials like developing online guides and videos and providing continuous customer service team training, to address and resolve any customer concern or complaint in a timely manner. Customer satisfaction is a priority, ensuring support is available 24/7 or round the clock. Dr. Dabber prioritizes customer satisfaction by introducing remarkable products on the market with outstanding features and benefits. For one, the Dr. Dabber Switch can be used up to 150 times just on a single charge, and these are real-life numbers, not laboratory testing. This is an unheard vaping device, only possessed by Dr. Dabber Switch, and to take into account only 60 minutes needed to fully charge this unit. Dr. Dabber understands the needs of novice vapers and seasoned veterans, so they always want to develop vaping devices suitable for both. That's why the Switch comes with 2 built-in modes that can be switched by a single button press. The standard mode has 5 simple heat settings and the pro mode has 25 profiles for vaporists and connoisseurs to experiment with, along with the benefits of patent-pending induction heating technology, allowing heating at a precise temperature in a relatively short period of time, on 4 seconds average. Dr. Dabber wants vapers to fully enjoy their vaping experience by developing no-leak sealed and easy-to-clean vapes. Choosing Dr. Dabber is never a mistake. You'll get to use high-quality vapes at reasonable prices. Every product passed the strict standards of vaping experts and certification bodies to ensure optimum excellent quality, durability, versatility, portability, and affordability. Every vaper can find the appropriate specific Dr. Dabber vaping device for him or her, based on the individual's needs and preferences. Whether you are on-the-go with a busy lifestyle, always traveling and multi-tasking or you prefer to enjoy your vape at home and sit back and relax, you can always find the right Dr. Dabber vape for you. The packaging alone is impressive because Dr. Dabber ensures that every item is delivered safe and secure. Once you open the box, your eyes will easily love the great design of Dr. Dabber vape pens and vaporizers, and immediately create an instantaneous love affair upon your first draw! As you hold and stare at your Dr. Dabber vaporizer, you'll feel lucky and grateful you've got one, a real true investment that you won't let go. Now, every vaper can choose from the wide array of Dr. Dabber products available today from Dr. Dabber directly or through the company's authorized retailers. Dr. Dabber has truly made a mark in the vaping industry. It is considered one of the strongest competitors of major players in the vaping world. While many try to beat Dr. Dabber, this brand continuously proves to be unbeatable, with the awards and recognition they are getting, not only from award-giving bodies but most especially among vapers. Vaping is the first step to cigarette smoking cessation. Most new enthusiasts of vaping are coming from this perspective. It’s the experience of flavor, the exhilaration of being able to breathe in and exhale the taste that’s so satisfying, it also calms and creates a sense of well-being. I’m talking about vaping at this point and not cigarette smoking. There is a sense of adventure in vaping. With so many concentrates flavors to choose from, you really have to be mindful of the vaporizer you’ll use to vape them up. I’m looking for that vaporizer pen that can deliver the best flavor and was not after enormous cloud formation. It’s the taking in of all the goodness of my favorite concentrates I’m gung-ho on getting. Luckily enough, I bumped in the Dr. Dabber Ghost Vaporizer. Can’t help but sink into a very light state of euphoria when I tried it out. It’s like swimming in a calm sea of feathery clouds, ever fragrant and cleanly delivering vaping expectations. It gets interesting as you see how the details build up to the results that you want in vaping. Taking on long draws also didn’t create the expected throat hit. It’s seamlessly smooth and the vapor was substantially impressive. The edge really is the flavor. With the Dr. Dabber Ghost Vaporizer, you do have the complete spectrum of the concentrate. The overall experience is at the awesome level. From the physical shell, very sturdy and solid, to the mouthpiece that is ever so discreet and delicate, to the ease of taking it apart and putting it all together, the kit itself comes complete with all the tools you’d need, and most of all, the flavor presents itself as a complete spectrum -- not just one dimensional, to say the least, on experiencing vaping at a connoisseur’s level. 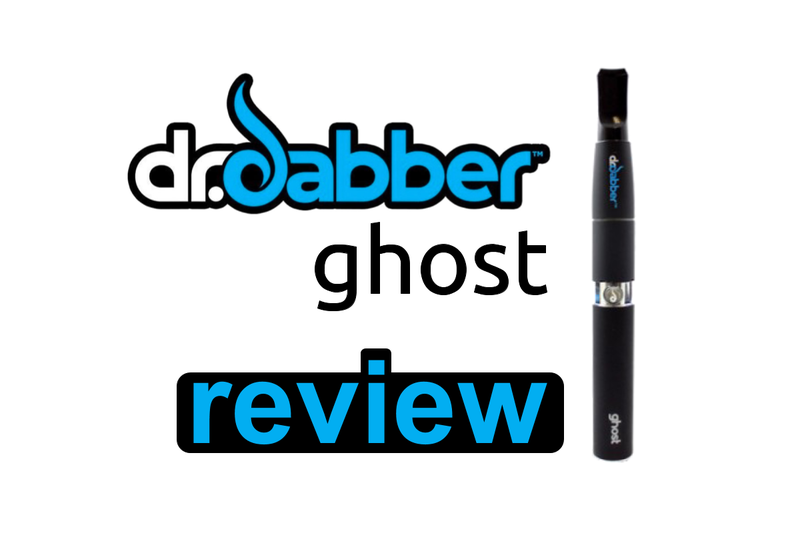 Read on and know the Dr. Dabber Ghost Vaporizer more closely. Dr. Dabber Ghost Vaporizers are sleek and deceptively slim. There’s a slight weight to it and the feel of the pen is solid and steadfastly compact and locked on. The mouthpiece itself is constructed that there’s an impression of being delicately discreet. The pen also fits nicely in your pocket. As you take it out and vape, it feels as if you have a weapon to take on vaping for a long, smooth journey. Loading on the dab was very easy. 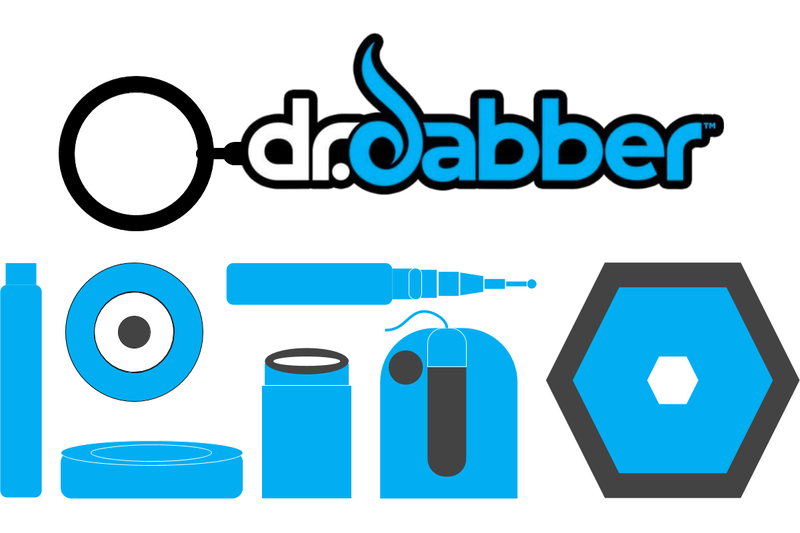 Dr. Dabber has created the device and the tools to dab on your concentrate without any hassle. It easily disconnects and locks on with a snap. The beginner would not need to figure nitty-gritty details to figure out how to vape. This is a good way to win over experts on vaping at how the ease of preparing your Dr. Dabber Ghost Vaporizer is. Starting up the Dr. Dabber Ghost Vaporizer is easy with clicks of the power button. Five clicks will turn this on and five clicks will turn it off. There are no cumbersome additional steps to be able to start vaping. Taking in the first draw, I can tell that it was going to be different. The scent of my favorite concentrate just surprised me at how well-rounded it was. It’s not just the initial burst of flavor but it lingers in your system. The euphoria is mild, you almost can’t tell it’s there. Several draws, later on, I did have the snug hug of the flavor. You need not take in long draws just to really get to know how delicious your concentrates are. I wondered how was Dr. Dabber able to deliver this experience so well and took a look inside. There the heart of the secret was the titanium coils and several layers of atomizers. There was no visible residue left at all. Dr. Dabber claim on not ever overheating or burning your concentrate is rock solid. They were able to figure out how to control the heat and just get this at the right temperature. As the concentrate is transformed while vaping, it’s converted smoothly and, dare I say it, tenderly, through the entire column of craftsmanship. You won’t be wasting any iota of your concentrate as it’s delivered to you by the Dr. Dabber Ghost Vaporizer without missing a thing. Made me curious about how the other Dr. Dabber vaping pens are, too. Most likely Dr. Dabber has given them their own individual characteristics to cater to very specific customer preferences. Dr. Dabber got it down right with the battery and USB charger as well. Being the vigorous vaper that I am, I was expecting battery life to last less than a day’s usage. So, glad I was proven wrong. It lasted for more than two days. Most likely, battery life will be longer if you choose to vape more frequently but in shorter sessions. I’ve read up and saw that the figures are good, 200 to 300 draws at a single charge. Not bad at all. Charging it is very convenient. Just plug it into any USB adaptable. The battery gets a full charge in almost less than two hours. A nice touch is this comes with a one-year warranty. Yes, the box itself is impressive, it’s very sleek and gloriously Dr. Dabber blue. As you unbox the items, it’s presented at a cadence that will just make you smile so wide, you’d want to put them all back in and unbox it again, I kid you not. Inside, you’ll have all the tools that you’d need to start vaping. You will have the Dr. Dabber Ghost Vaporizer, the Mouthpiece, the Ghost Wax Atomizer, the Ghost Connection, the Wax Storage Canister, the Battery Power Supply, the Cleaning Tool, the Micro-USB Charger, and a cool Instruction Guide. The Dr. Dabber Ghost Vaporizer has three glass accessories that can make the vaping experience even more extraordinary. The Globe attachment is the most popular of the three. It let you see the vapor as you produce it, definitely, the bubbling sound is a great touch. There is also the glass percolator attachment and glass recycler pendant. Both enable you to vape your concentrate through the water. All three also easily snap onto the Dr. Dabber Ghost Vaporizer. Dr. Dabber has been innovating and creating vaporizer pens for more than 18 years. They were able to foresee that concentrates would deliver the cleaner and much more flavorful vaping experience. The guys here know what they’re doing and this can be seen on how they’ve been critiqued and reviewed with recognition. The most recent was being one of the winners in the 2017 High Times Cannabis Cup Canada. The Dr. Dabber Ghost Vaporizer is an excellent choice as a starter kit. It is affordably priced and considered best in class. It’s the smart investment to make sure vaping is at that excellent level consistently. It will bring out the true deliciousness of your concentrates and virtually no waste at all. You can sense that Dr. Dabber creators also carry the same passion in vaping. You can sense that you’re in good company with the Dr. Dabber Ghost Vaporizer and can expect results to be consistent for a long time to come. Concentrate consumption has been a growing platform and has been one of the primary means of cannabis ingestion, especially for medicating patients who rely on wax vaporizers for their prescription and daily medication. Consuming extracts has also been the new trend in casual and recreational users for its efficacy and efficiency as compared to consuming the actual plant matter. While the number of consumers who find extracts beneficial and useful continue to grow, the companies who manufacture products for concentrate vaporization also proliferate – thus, flooding the market with a vast selection of vape devices ranging from large desktop vaporizers to portable hand-held units. While this can be good for some, others might find the task of choosing the right device from the thousands of wax vaporizers in the market a daunting task. Dr. Dabber has been one of the go-to brands of concentrate consumers in the past few years. Dr. D has been known for its innovative approach to vaporizing extracts and have established itself as a premium vape brand. They’ve created some of the most iconic dab pens and some of the most revolutionary desktop vaporizers which placed them on the map and cemented their name as one of the best in the industry. Dr. D gave us award-winning models that changed the way we vape and how we see wax pen vaporizers in general. One particular dab pen caught the eyes and hearts of many and became one of Dr. Dabber’s signature pen which quickly earned itself an excellent reputation for being extremely portable and functional. 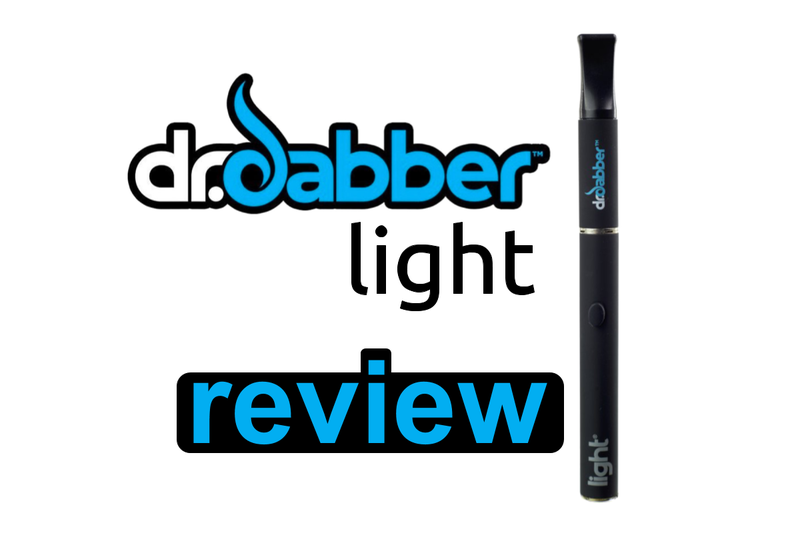 The Dr. Dabber Light Vaporizer is Dr. D’s smallest and lightest dab pen to date. It’s even smaller than a cigarette which makes carrying and concealing a breeze. The Dr. Dabber Light not only stands out because of its compact design but it also proves that it’s a cut above the rest because of how it performs. The Dr. Dabber Light makes for a straightforward vaporizer that requires no learning curve at all. Because the Dr. Dabber Light operates like your regular vape pen getting used to how it works comes naturally. If you’ve managed to get your hands on a wax pen vaporizer before, you’re not going to have any problems using the Dr. Dabber Light. Its generic design allows virtually anyone to pick it up and use it without difficulty. That’s why it's one of the most recommended dab pens for beginners and is seen mostly as an entry level unit, but don’t let its rudimentary design fool you. The Dr. Dabber Light can surely compete with some of the most sophisticated vaporizers out there especially in terms of vapor quality. The Dr. Dabber Light bears a striking resemblance with the Dr. Dabber Ghost both in aesthetic design and in performance. In fact, it is the Ghost made smaller. The body of the Dr. Dabber Light features the hallmark matte design seen in Dr. Dabber vapes as well as the iconic branding and single-button control native to most dab pens. Under the hood, the Dr. Dabber Light sports an atomizer that consists of a fiber wick wrapped with high-grade titanium wires. The fibrous wick effectively absorbs the melted concentrates while the titanium coils easily conduct heat and vaporizes the melted extracts. Instead of using inert minerals like quartz or ceramic, Dr. Dabber opted to use more manageable materials with the Dr. Dabber Light, the glass wick fiber and the spaced titanium coils give the Dr. Dabber Light the perfect balance between vapor density and potency. Because the extracts easily permeate the wick, it requires less heating allowing you to achieve vaporization faster than the average dab pen. Moreover, the spaced design of the coils efficiently spreads and distributes heat preventing burnt wicks and busted coils even after prolonged use. Powering the Dr. Dabber Light is a rechargeable battery equipped with safety features. Like most vape pen batteries, the one used in the Dr. Dabber Light can be powered on by tapping the power button 5 times. Once the battery is on, the bottom part will light up to let you know that it’s working. Should you press and hold the button for 15 seconds the light at the bottom of the battery will begin to blink to tell you that it’s about to turn itself off to prevent accidental misfires should it get pressed against any object inside your bag or in your pocket. The battery features 510-threaded connections allowing you to use most 510-threaded atomizers with it. The Dr. Dabber Light yields decent vapors with enough density and viscosity to make it visible and flavorful. It took very little time before the Dr. Dabber Light started vaporizing the concentrate although its best to tap the power button in increments and melt the wax first allowing the wicks to absorb the material before pressing the button for long drags and deep pulls. The chamber can only take small dabs and heavy consumers might need to reload the Dr. Dabber Light once or twice depending on their tolerance. Because of its loading capacity, the Dr. Dabber Light is best used to consume all its content by taking one deep draw. Whilst it only has a single temperature setting, the Dr. Dabber Light’s heat profile is carefully calibrated for optimum concentrate vaporization. The airflow on the Dr. Dabber Light is also just enough to allow easy draws without any restriction and drawing from the Dr. Dabber Light comes as natural as breathing. The battery life on the Dr. Dabber Light is exceptional. Dab pens larger than the Dr. Dabber Light run out faster and the Light does not show a substantial drop in performance even when the battery is near dead. Its size is what truly sets it apart from the rest of the competition. Dr. D perfectly managed to pack what one would expect from a standard sized vape into a smaller body. Since it’d easily fit in one’s pocket, one can quickly take it out and stash it back in case you’re up for some stealth vaping. Patients who rely on cannabis-based medication and therapy will find the Dr. Dabber Light to be a reliable means of administering their medication because of its compact and low-key design. The Dr. Dabber Light will keep your sessions discreet whether you’re vaping for recreational euphoria or if you’re in it for therapeutic and curative purposes. The Dr. Dabber Light is best for those who like to consume concentrates and other extracts in a convenient and discreet package. It’s size literally allows you to bring it anywhere you like, plus its safety features make it easier to just dump it in your pocket since you’re sure it won’t burn your pants. The Dr. Dabber Light is also travel-friendly and won’t feel like you’re lugging around a vaporizer. If you’re planning on shopping for a dab pen or a wax pen vaporizer, chances are, you’ve already come across loads of products that look exactly the same. The Dr. Dabber Light is smaller than the average dab pen and boasts even better battery life than most vaporizers in its class. The materials and components it’s equipped with are something you won’t find on other vaporizers in its price point. To put it simply, the Dr. Dabber Light is a durable and an affordable dab pen that does the job and does it well. It’s also easy to use and easy to maintain making it a solid choice for anyone looking for a concentrate vape. The Dr. Dabber Boost is one of the most powerful and portable e-nails that is great for mastering your dab sessions. Gone are the days of cumbersome and clunky e-nails that are also not pocket-friendly at all. The Boost is the first e-rig that's portable and compact enough that fits your busy or on-the-go lifestyle because you don't have to worry about arranging or preparing wicks or coils. You can simply load-up your Boost with your favorite wax concentrates and you can enjoy dabbing almost anywhere, anytime! Dr. Dabber is always at the forefront of the newest vaping technology and they're one of the leaders of the e-rig revolution. 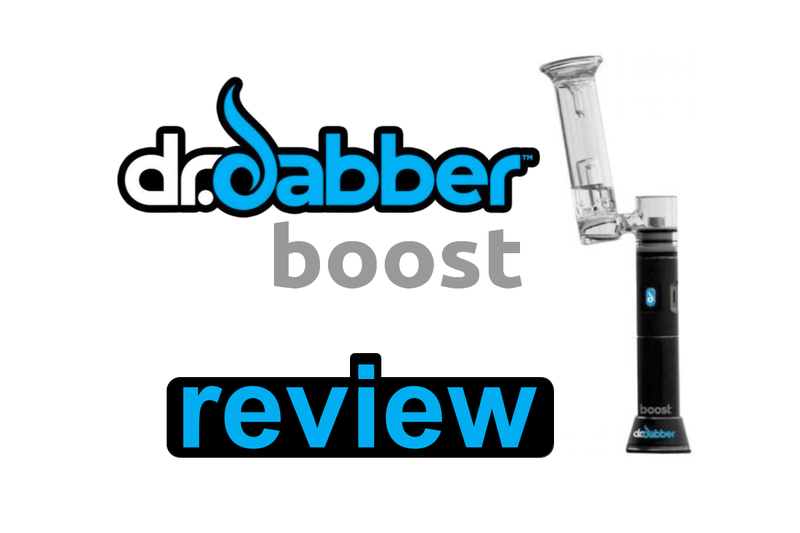 Let's try to get a deeper understanding of Dr. Dabber Boost, its best features and how to effectively use this product for the ultimate dabbing experience. Take your dabbing to a higher level with Dr. Dabber Boost. It has a versatile and ingenious design that is somehow similar to a traditional e-rig. It is powered by a replaceable and removable 18650 lithium-ion battery. It only means that you can charge your backup batteries without even affecting your dab sesh, giving you a longer vaping session every time and saves you time and effort. The water filtration attachment is made of glass the Dr. Dabber Boost is also cordless unlike traditional dab rigs wherein you need to plug them in a wall outlet. Using the Dr. Dabber Boost is very easy, by just simply pressing the button to turn it on and just wait about 30 seconds until the light turns blue before loading the wax concentrate directly to the titanium nail. Indeed, Boost gives you the best of both worlds, perfectly replicating a high-quality desktop experience! The Dr. Dabber Boost portable e-rig blows the conventional method of concentrate consumption when it comes to convenience and power. It has been designed for solid aromatherapy concentrates, acting as an e-nail with the same quality as desktop models while featuring greater portability. It heats up to 700°F within 30 seconds, allowing you to dab 50 to 60 times on a fully charged battery. The Boost is a complete electronic version of the typical layout of a traditional dabbing rig. It is easier to move around. The rounded bottom is the charging dock that is flared and in which the main body can be removed from. The real hero is the spill proof tool which is very small yet it can fit tightly onto the Boost body without any issues. Using a Dr. Dabber Boost vaporizer makes you feel like you are using a real dab rig. A dab rig is a typically large and heavy water tool with nails that need to heat up to extremely high temperatures. The Dr. Dabber Boost vaporizer is safer and lighter than you can barely imagine and believe you are actually dabbing. In addition, the taste of wax concentrates is still just as good or even better. How do you swap the Boost nail? First, you need to unscrew the nail by turning counterclockwise then lifting the nail to remove it. The next steps are lowering the nail and rotating clockwise to screw the nail onto the e-rig. Never try removing the nail when it is hot. Don't touch the ceramic rod because it may cause damage to the heating element. The steps are simple and easy for your pure dabbing enjoyment! How to remove the glass? Firmly hold the glass base unit and the glass ring which attaches to the Boost between your thumb and index finger. The next step is pushing down until the attachment is flushed with the lip of the Dr. Dabber Boost device. Don't hold from the water chamber or base alone because the joint may actually break when you're attaching the glass. Just carefully remove the glass using a straight upward and downward motion without twisting it. Just hold the unit's glass attachment with the connection port. Removing the glass attachment is easy to manage. How to clean the glass attachment? When cleaning the glass attachment, you have to remove the glass attachment first from the e-rig. The next step is slowly pouring the isopropyl alcohol (90%) into the mouthpiece until it reaches ¼ full. Just simply shake the glass attachment until it is clean. You can rinse out the alcohol by pouring water on the top of the mouthpiece until it is completely flushed out of attachment's bottom section. Blow through the unit's mouthpiece, shaking gently, so all water is removed from the device. This manner of cleaning also applies to dab pens, wax vaporizers and other vaping devices with glass material. Cleaning is really a breeze like other vape devices by just keeping these steps in mind. How to charge your Dr. Dabber Boost? When charging your Dr. Dabber Boost, just simply insert the micro-USB charger into the port found on the side of the unit and the other side connected to an AC adapter or USB port. You'll know when your device is currently charging once you see the power button light up with a purple light. You'll know when it is completely charged when the light turns green. You need to charge your Boost 6 to 8 hours or overnight connected to an AC adapter to fully charge it. As soon as your Dr. Boost is completely charged, removing the charging cord is important because it slowly starts losing power after a full charge while it is plugged in. It is totally fine plugging and unplugging the device back and forth if it requires additional minutes to be charged completely. A fully charged Dr. Dabber Boost can last up to 30 cycles. You can even extend up to 50 cycles by using an external battery charger (18650). It applies to every USB charger. They don't apply enough power just to get the battery to perform at its maximum potential. You can use an external battery charger or USB charger and take advantage of its technology. Dr. Dabber Boost has unmatched convenience and portability that no other e-nails can. How to use a Dr. Dabber Boost? Remove the glass attachment and load water. The next step is clicking the power button thrice (when using a titanium nail) or 5 times (when using a ceramic nail). Load the material on the tool's tip. Once the light changes its color, touch the tool’s tip and start inhaling through the mouthpiece. If you see everything has melted off the tool, flip it around, and the next step is placing the carb cap on the nail top portion so it will increase vapor density. Enjoy dabbing anytime and anywhere with Dr. Dabber Boost every time! Dr. Dabber Boost is incomparable to typical e-nail. It has a superb performance for an excellent vapor production and quality. Experience a one of a kind vaping using this amazing device. Investing in a Dr. Dabber Boost is worth your time and money because you only get the highest quality dabbing experience anytime and anywhere. You don't have to worry about e-nails that cost an arm and a leg, because Dr. Dabber made sure that Dr. Dabber Boost is reasonably priced. You only deserve the best dabbing session every time, so it is best to grab yours now! When you’ve discovered something unbelievably good, you would definitely to want it even better. Dr. Dabber vaporizers already carry you at the next level in vaping experience. You now know how innovation in design and unrelentingly passionate craftsmanship delivers that flavor in every draw. Even the hectic pace -- the ebb and peak of the vaper lifestyle can have its unexpected twists and turns -- you can always count on Dr. Dabber to bring you that solace, that calming experience of vaping. We’ve tested out how Dr. Dabber vape pens and vaporizers and find that the spectrum of flavor always gets this nod of contentment. And the stream of the cloud is a vividly clear response to that thought, “Yes, this is what vaping should be.” Pardon the awe, but Dr. Dabber provides the promise they’ve wrapped their products with. It’s also high time -- no pun intended at all -- to also look into what are the other devices, Dr. Dabber accessories, and tools they have created to get vaping at that reachable level of extraordinary. There’s a whole range to choose from and the handful that we’ve decided to do a critique on is now on our list of must-haves in the future. Wouldn’t want to pre-empt or let you wonder what we’ve been lucky enough to try out. So, here are just some of the cool Dr. Dabber accessories in their collection. This protects and cradles all your Dr. Dabber gear. It’s designed to be a vape case that has compartments built-in. I found myself getting obsessive-compulsive in making sure it’s organized -- atomizers, devices, attachments, charging gear and concentrates -- all tucked into the space that I assigned it to. Dr. Dabber made a smart move on getting the dimensions compact yet with enough wiggle room to accommodate Dr. Dabber accessories, as well. The material itself, high quality waxed canvas safeguards your Dr. Dabber gear. You can tell that the Dr. Dabber Premium Carrying Case was made to last by checking how the seams are securely stitched together. There’s even a non-stick, silicone lined pocket for your concentrates. I’m also digging the subtly flashy design, also embellished with the distinct Dr. Dabber logo. Dr. Dabber never disappoints by making sure that you can also choose accessories specifically built for the pen that you prefer. Take the Carrying Case designed for the Dr. Dabber ghost pen. They’ve built compartments that not only will carry your Ghost pen but also the storage ball, Globe attachment, and charger. The design also stands out. It’s sleek with the Dr. Dabber blue color with the Dr. Dabber logos highlighting the rubber pull tags. The carbon fiber material protects everything and guarantees you can easily take it along anywhere. Vaping just got even easier with the Dr. Dabber Budder Cutter. If you’re serving your concentrates or loading them up, this Dr. Dabber accessory will grant you a graceful albeit grand way to start on a perfect note. Oils or waxes can now be easily dabbed using the heated and multi-use device. Never will it overheat or burn your concentrates at all. Instead, it warms them enough to a consistency you can easily cut through. Enabling you to get the right amount and cleanly load it to your Dr. Dabber vaporizer pen. Dr. Dabber also considered the heating tips and provided several designs to choose from. If you consider vaping an art, these are your tools to create it with. It also comes with a one-year warranty and this covers the battery and charger. A really cool touch. Added moisture to vaping, is always a good option to have. This also prevents the throat hit that extended hours of vaping can cause. You can definitely just chill, lounge, reflect and enjoy vaping when you want time to simply leisurely pass by. The Dr. Dabber Aurora Glass Globe is a perfect complement to building this experience and taking it to a surreal level of relaxation. You have the right mix of sound and visual cue bubbling in the quartz atomizer along with the full flavor that Dr. Dabber delivers. Adding to this would be the ease of switching from one preference to another. Dr. Dabber made this an easy to remove and attach by having it magnetically snap in place. The girly girl or the manly man won’t be able to resist this PINK Edition battery for the Dr. Dabber Aurora. It really gives that powerfully pink punch to your Dr. Dabber Aurora. You can easily lock this on with the innovative SnapTech magnetic design Dr. Dabber created. Pinking up your vape pen really delivers that statement of loving pink and what it stands for. It goes without saying that the technology and battery life is as powerfully built on the inside like all Dr. Dabber batteries are. Getting the Dr. Dabber Pink Edition also brings you a one-year warranty. You’d want to prepare to vape on the Dr. Dabber Honeymat. Aside from looking sleek and sharp, it also enhances the deliciousness of what you’re about to vape. I can compare it to perfect plating artistry when enjoying fine cuisine. Why not have the Dr. Dabber Honeymat, made from platinum grade silicone, help you organize and present your vaping gear? It’s a safe spot for your glass piece or rig. It can also be a perfect backdrop to display your concentrates and waxes, too. My favorite Dr. Dabber accessory is the Shatterproof Storage Ball. It does help that it’s cute as a Pokémon ball. Just as legendary, the Shatterproof Storage Ball is built and designed to safeguard your concentrates. I’ve read up on Dr. Dabber accessories and found that this is made of platinum cured silicone. Found it easy to clean and the no-slip grip makes it easy to handle. Dr. Dabber also considered how tightly locked in your concentrates will be. The 3-centimeter size has enough space for a good enough amount to store while it’s flexible enough to fit into small pockets, and, of course, snugly into any of the Dr. Dabber carrying cases, as well. These are only some items in the collection of Dr. Dabber accessories that you can check out. It’s ingenious that Dr. Dabber came up with these tools and enhancements that specifically cater to the type of vaporizer you have. You can customize how you’d like to enjoy vaping. Not only that, but they’ve also shown a sharp knack for detail. The Dr. Dabber accessories don’t level up just one aspect of vaping but several angles: convenience, ease of usage, and the full-on empowerment to bring all your gear with you anywhere. Dr. Dabber keeps on forging good stuff for vaping you sense that they are also steering towards making it into an art. Make your own vaping experience reflect your taste, mirror your preferences and intensified further by Dr. Dabber accessories. Definitely worth the trip. Dr. Dabber has been a staple name in the concentrate consumption platform. They have been known for manufacturing some of the best dab pens and wax vaporizers in the industry today. Their products have top-tier quality and sport affordable price tags which is why Dr. D’s vaporizers are probably one of the most sought-after devices on the market. 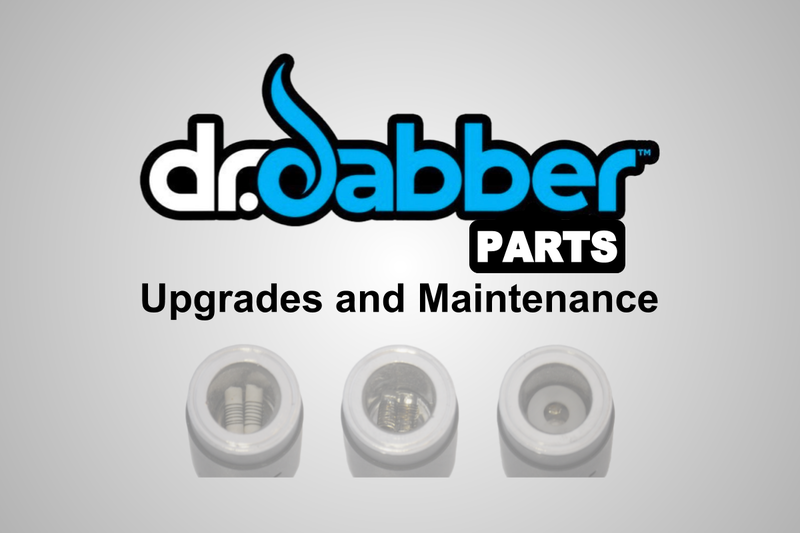 While many find that their devices are practical, durable and hard-wearing, one might still need to find parts for their Dr. Dabber vapes either to replace lost pieces or to upgrade worn out parts which helps their wax vaporizers and dab pens run in peak condition. Dr. Dabber offers a wide array of parts and accessories that are easy to use and are compatible with most 510-threaded batteries. You can now conveniently find components for better parts replacement or simply pieces that would elevate your daily vaping sessions. Dr. Dabber parts can easily be sourced which means you’ll almost never run into any trouble finding the right part for the right Dr. Dabber vape. Dr. D keeps a catalogue of premium glassware made only from durable borosilicate glass. Borosilicate is known as a lab-grade variety of glassware and is prized for its properties that allow it to have extreme resistance to heat and have the ability to maintain its integrity despite being subjected to thermal shock. Dr. Dabber glass pieces like the Boost replacement glass is the perfect reliever to your old Dr. Dabber Boost glass bubbler. It’s designed specifically for the Boost e-nail and will fit the both the Dr. Dabber Boost and the Dr. Dabber Boost – Black Edition perfectly well. Another Boost glass piece is the Dr. Dabber Boost Quartz nail that’s made from high-grade quartz and is housed in a dome-less glass component. This glassware won’t break easily even when used during long and demanding sessions making them the perfect and the only glassware you should use for your Boost e-rig. Moving on to smaller hand-held devices, the Dr. Dabber Ghost also sports similarly high-quality glass pieces. The Dr. Dabber Ghost Glass Globe is the ideal option for those who like to see their oils and concentrates vaporize making for a truly remarkable sight. The clear glass globe also facilitates the ideal environment for your extracts for better vaporization. The award-winning Dr. Dabber Ghost can also be outfitted with other glass parts like percolators and other water filtration devices. Dr. Dabber Atomizers are a crucial component to their dab pens as it holds the heating element which provides their pens the means to ramp, melt, and vaporize your extracts. Instead of using traditional fibrous wicks and nichrome, Dr. Dabber opt to use high-end materials like quartz, ceramic, and titanium in lieu of the conventional components used on average atomizers. It’s a known fact amongst vape enthusiasts and aficionados that the kind of mineral used in your atomizer pretty much determines the kind of vapor your dab pen produces. Quartz are better catalysts of heat and can vaporize your materials faster than ceramic. Quartz-based atomizers in general are used for vape builds that are intended for yield visible and large clouds while having decent flavor retention. The perfect example is the Dr. Dabber Aurora Quartz Atomizer, not only does it use high-quality quartz mineral wrapped in titanium coils but it also features a deep-dish chamber design which sits close to the bottom of the chamber. This allows better vaporization of concentrates and makes for a more efficient burn. The Aurora Quartz Atomizer also boasts side-airflow holes that lets air come in freely to effectively cool down the fast heating quartz and titanium heating element. Ceramic-based atomizers on the other hand are known for their low and slow heating properties. Low-temperature dabs are great for flavor chasers as quartz atomizers are great for cloud-chasing aficionados. Unlike quartz, ceramic is a poor conduit of heat. Ceramic creates a unique setting for your materials allowing them to vaporize slowly which enhances the flavor and the aroma of the concentrates while giving you a mild and subtle upshot. Combining both ceramic and quartz allows you to experience the best of both worlds, Dr. Dabber made it possible with the Dr. Dabber Aurora Halo Atomizer. It uses a ceramic and a quartz dish coupled with their iconic SnapTech magnetic connections for easier and convenient removal and replacement of atomizer parts. Overall, quartz’s fast heating properties allow faster ramping and higher temperature levels which intensifies the potency of your materials while ceramic improves flavor allowing you to savor the unique tastes of your concentrates. Both minerals are inert and pure and will not affect the quality of your vapors. Batteries are the life source of dab pens and what better way to carry extra power than by getting yourself additional batteries for your favorite Dr. Dabber wax pens. Dr. D’s batteries both feature 510-threading and magnetic connections for added versatility giving it compatibility over a wide variety of attachments and atomizers. The Dr. Dabber Light battery features 510-threaded connections, it’s smaller than the average vape pen battery and weighs even lighter than your regular wax pen battery. The battery turns on with 5 clicks and turns off by performing the same operation. It’s slim and sleek and charges via a wireless USB charger. Dr. Dabber takes battery packs seriously. Their latest vaporizer, the Switch, uses a non-volatile, non-explosive battery that protects itself from “over-voltage, over-current, under-voltage, over-temperature, short-circuit, and reverse-polarity.” The battery on the Dr. Dabber Switch also allows pass-through charging and can yield over 150 cycles on a single charge. Dr. D's dab pen batteries may not sport the same intelligent features such as protection from overheating and overcharging but the quality that these rechargeable batteries have still separate them by a mile when compared to cheaply made wax pen batteries. Arguably one of the most unique pieces of equipment ever to be produced and manufactured by Dr. D. The Budder Cutter is designed to help people manage hard concentrates and other solidified extracts. Gone are the days that you’d be bending or breaking your loading and dab tool when you’re scraping off concentrates from your jar. The Budder Cutter operates pretty much like your dab pen and uses a vape pen battery attached to a heating tip to melt down waxes so you can cut through them with ease. The Budder Cutter includes 7 heating tips allowing you to scoop, slice, pick, and cut through almost any concentrate of any consistency. The vape pen battery used in the Dr. Dabber Budder Cutter is carefully calibrated to help eliminate burning and combusting your materials when cutting hardened concentrates. Because of the wide array of replacement parts and upgrade pieces, Dr. Dabber creates a unique universe where one could enjoy different varieties of vaping styles without having to purchase multiple units. Depending on the model you’re using, you’ll have the opportunity of using different glass components that range from the very rudimentary to the most intricate percolators made from high-quality borosilicate glass. Other attachments like the Custom Glass: Layback Recycler features 510-threaded connections to add moisture conditioning to your daily sessions with your Dr. Dabber Ghost dab pen.